Ontario RAT 1 Linerlock. 5" closed. 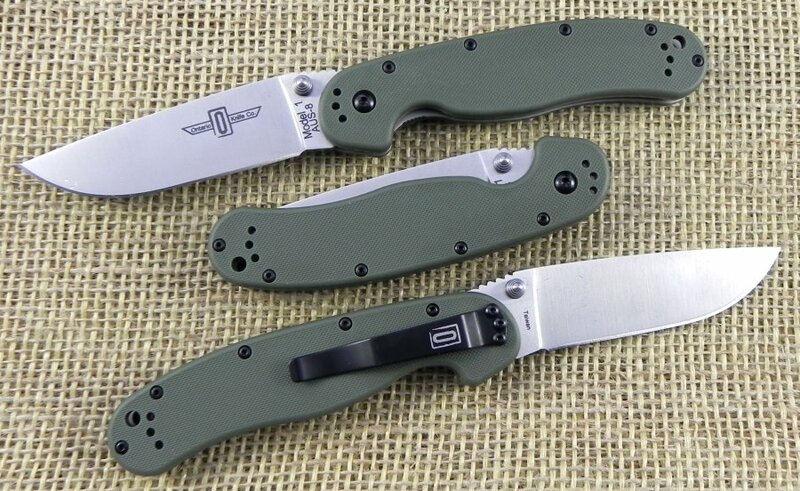 Satin finish AUS-8 stainless standard edge blade with thumb stud. 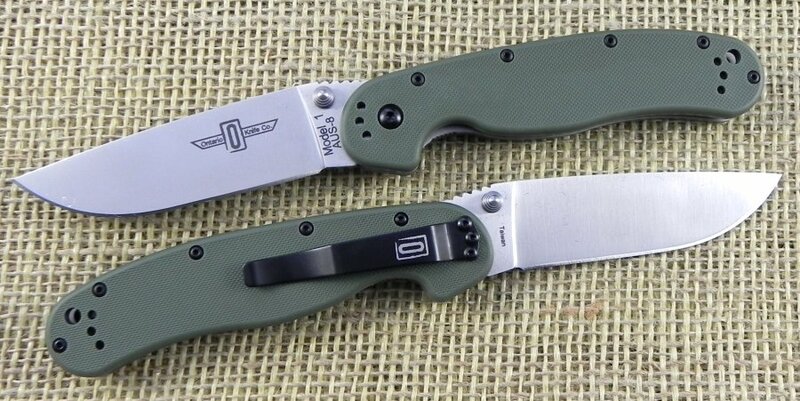 OD Green G-10 handles with reversible stainless pocket clip. Lanyard hole.